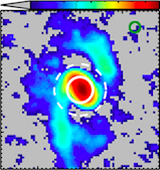 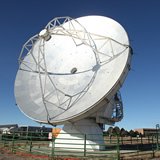 NA 12m Vertex prototype antenna at the JVLA site in Socorro, New Mexico. 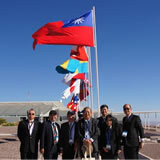 Delegation from Taiwan during the ALMA inauguration in March 2013 at the OSF in Chile. 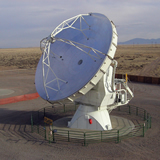 the procured NA 12m Vertex prototype antenna at the JVLA site in Socorro, New Mexico. 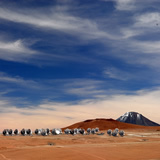 EA-FEIC staff members celebrating the delivery of the very last front-end for Europe in 2012. 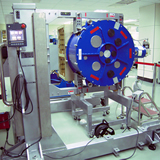 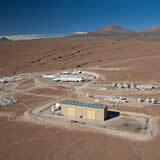 EA FEIC team delivering the first front end to Chile in 2008. 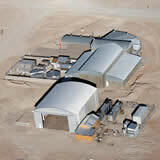 Aerial view of the Operations Support Facilities (OSF) at around 2900m.